For many people living with fibromyalgia, daily life consists of chronic pain, sleep problems, and debilitating fatigue as well as other conditions such as irritable bowel syndrome and cognitive difficulties. Fibromyalgia affects between 6 to 12 million people in the U.S. Most of those suffering from the effects of fibromyalgia are women between the ages of 25 and 50 years of age. The hallmark symptom of fibromyalgia syndrome or FMS is chronic, widespread musculoskeletal pain and stiffness along with soft tissue tenderness. So, it should not come as a big surprise that FMS patients are resistant to exercising because they are afraid that it’s going to cause their pain to worsen. However, low–impact exercising could be just what “the doctor ordered” to help reduce pain and stress and to improve overall stamina. Pilates is a low impact program that emphasizes the connection that exists between your mind and body — a mind body discipline that helps to teach body awareness and improve your ease of movement. Pilates exercises focus on your core strength, flexibility, range of motion and balance while working to decrease your stress levels. The exercises are slow and controlled with little or no impact on your joints. This can help you to get stronger and more flexible without triggering more pain from your pressure points. 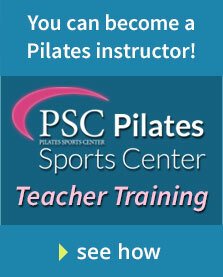 Pilates is a great way to improve your overall sense of well-being while getting fit. Does Pilates work for relieving the pain of fibromyalgia? Studies have shown that low impact exercises such as Pilates can help to relieve pain by placing an emphasis on gentle strengthening and low impact movements while helping to reduce overall muscle tension. Pilates exercise also helps reduce anxiety, and, by helping to increase your energy levels, Pilates helps to reduce fatigue which is a big problem for many fibromyalgia sufferers. A treatment plan that combines a Pilates exercise program with medication and changes in your lifestyle such as regular, daily exercise, a healthy diet, stress reduction, and improved sleep habits can result in an overall improvement in your health and the quality of your life. If you’re looking for a Pilates studio in San Diego with instructors who are knowledgeable about fibromyalgia and chronic pain, then you need to check out Propel Pilates and Fitness, located in Rancho Bernardo. Propel Pilates and Fitness is the largest and best equipped Pilates and personal training studio in North County San Diego. In business since 2008, we boast a team of the finest fitness instructors in San Diego, all of whom are certified through internationally recognized Pilates or Personal Training organizations. At Propel Pilates, we will work with you to design an individualized program that will fit your specific needs and help you to meet your physical goals. Check out our website or stop by the studio — take a tour and meet our staff. Find out about the benefits of Pilates exercise as a treatment for fibromyalgia.